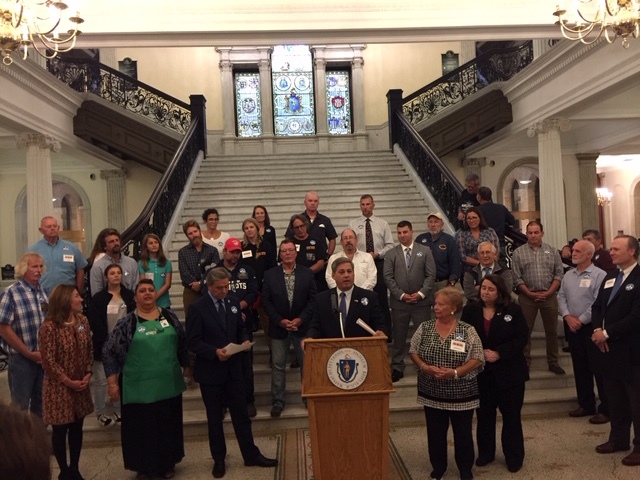 I was happy to attend Seafood Day at the State House with many of my legislative colleagues, municipal officials, and Lt. Governor Karyn Polito. A heartfelt thank you to the Fisherman's Partnership for coordinating the event. Below is a copy of the Resolution adopted by the Senate and the House of Representatives commending the Fishing Partnership on its celebration of Massachusetts Seafood Day, and photos from the event.